There are all types of conventions around the country on an almost weekly basis, where enthusiasts of all kinds can gather and share their love of a common hobby or interest. The more well-known conventions, such as comic book conventions and gaming expos, attract tons of interest, but there are also conventions for the more obscure, such as beekeeping conferences and expos for those who love mermaids. If you have a large group who plans on traveling to an upcoming convention, don’t deal with the hassle of airfare or rental cars – rent a charter bus from Ground Travel Specialist! It’s fairly likely your suitcase won’t just be packed with a change of clothes, and you and everyone traveling with you might have costumes or props you want to take with you to the convention. Our buses have plenty of room for carry-on luggage, as well as storage underneath for suitcases and other large items. Your driver will make sure everything is packed safely and appropriately, and that nothing will be damaged in transit. The last thing we want is for you to arrive at your hotel or the convention hall to find that your three-person costume can’t be worn. 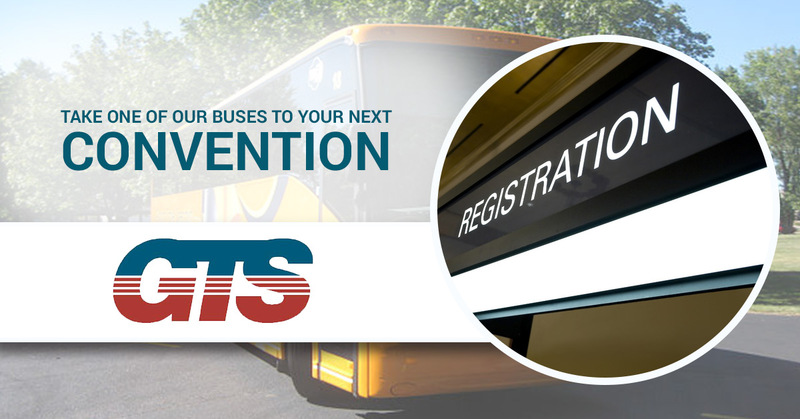 At GTS, we make it a priority that every person rides in comfort all the way to their destination. It doesn’t matter where you’re going or how long it takes to get there, we’ll ensure that your charter bus ride is unlike any other! Call today to book your trip to your group’s next convention.